The effects that the microbiota has on the vine have been the subject of numerous research carried out in the last 6 years by the BluAgri research group. 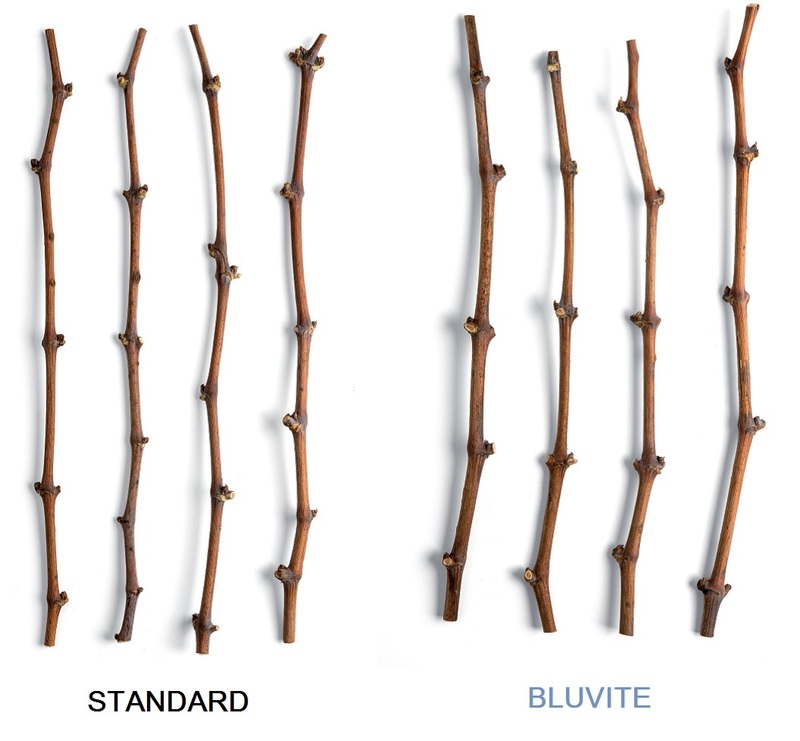 During this time, more than 350,000 measurements were carried out in 2000 ha of field tests to evaluate the effectiveness of the new BluVite technology. The restoration of the soil microbiota allows to replace the natural mechanisms of interaction between the root system and the soil microorganisms, thanks to these it’s possible to verify a considerable emission of lateral roots (the “lateralization”) and therefore a greater absorption of nutrients. By reactivating and restoring an efficient root system, the plant on the one hand is able to absorb a greater number of nutrients and on the other, thanks to the action of fungi and bacteria, it is able to absorb even those nutrients naturally blocked in the soil. In this way it’s possible to obtain a more efficient and healthy plant from the point of view of the lymphatic translocation and of the photosynthesis, thus obtaining an increase in the "storage" of the reserves inside the wood of the plant. Rauscedo (PN)_Variety Glera on Kober 5BB, in BluVite treated was not used naftalenacetic acid (NAA), a synthetic hormone, that was used into the standard thesis. In 2018, due to the high yields in grapes, many vineyards were not able to completely lignify the shoots, causing in some cases even 50% of loss in number of buds. 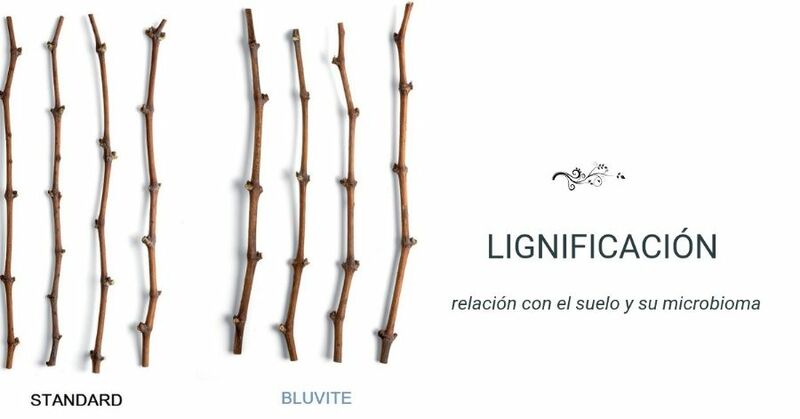 With the use of BluVite it has been possible to overcome this problem by increasing the reserve substances of the plant. Thanks to the natural base of the product it is possible to restore the microbiological fertility of the soil and favor the natural processes of interaction between the root and the bacteria, essential for the production of new roots. An efficient root system is able to nourish the canopy in a balanced manner. The emission of regular internodes indicates the greater radical activity allows to have vineyards less subject to water stress and nutritional deficits. The interaction with the microbial populations of the soil allows the plant to absorb in a constant and balanced way all the nutrients as they are made bioavailable and readily assimilable. In the pictures: canes Garganega variety, Az. Agr. Gini, Monteforte d'Alpone (VR). The increased bioavailability of nutrients is also reflected in the development of an efficient canopy, able to provide a greater number of photosynthetates and therefore of substances like lignin and starches that are accumulate in the canes and wood. According to numerous field tests it was possible to observe a complete and homogeneous lignification, in this case the vineyards that was tested was Traminer variety in Campodipietra area (TV).